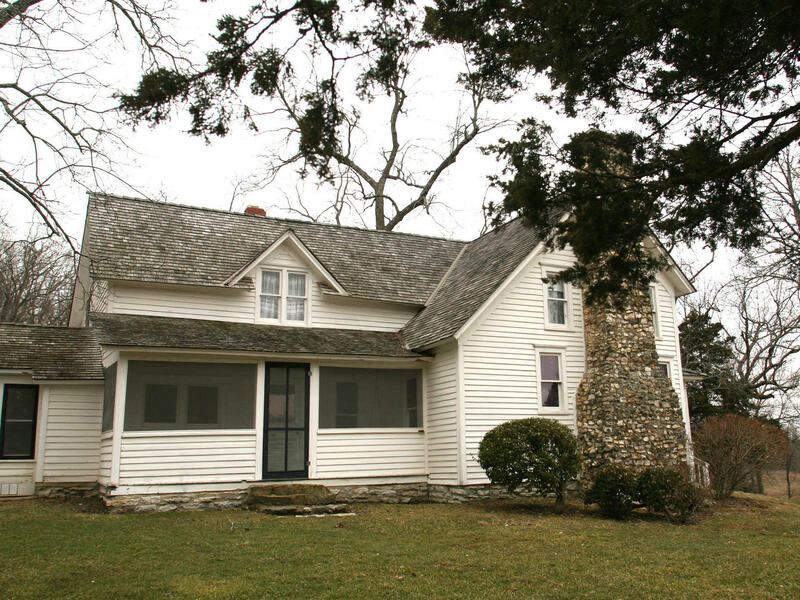 The white clapboard farmhouse where Laura Ingalls Wilder wrote many of the books in her Little House on the Prairie novels still stands in Mansfield, Mo. A division of the American Library Association voted unanimously Saturday to strip Laura Ingalls Wilder's name from a major children's literature award over concerns about how the author referred to Native Americans and blacks. The Association for Library Service to Children says the Laura Ingalls Wilder Award will now be known as the Children's Literature Legacy Award. Wilder, who wrote the Little House book series, was the first recipient of the award, which was established in 1954 and intended to honor books published in the U.S. that have had a big impact on children's literature. The Little House series was based on Wilder's own life and told the story of the Ingalls family as it moved around the Great Plains in the 19th century. While many of the Little House books became widely read, critics said her work included many stereotypical and reductive depictions of Native Americans and people of color. In 1935's Little House on the Prairie, for example, Wilder described one setting as a place where "there were no people. Only Indians lived there." That description was changed in later editions of the book. And multiple characters in the Little House series intone that "the only good Indian is a dead Indian." The ALSC had been considering whether it should strip Wilder's name from the award since February and announced at the time that the author's legacy "may no longer be consistent with the intention of the award named for her." "The decision was made in consideration of the fact that Wilder's legacy, as represented by her body of work, includes expressions of stereotypical attitudes inconsistent with ALSC's core values of inclusiveness, integrity and respect, and responsiveness," the ALSC said in a brief statement following the vote. Previously, the organization had noted the "anti-Native and anti-Black sentiments" in Wilder's writing. However, some Wilder scholars say the author's work shouldn't be downplayed. Instead, they say, it should be scrutinized — and taken as an opportunity to inform children of the context surrounding it. "We believe it is not beneficial to the body of literature to sweep away her name as though the perspectives in her books never existed. Those perspectives are teaching moments to show generations to come how the past was and how we, as a society, must move forward with a more inclusive and diverse perspective." Debbie Reese, a scholar and the founder of American Indians In Children's Literature, tweeted that the vote to change the award's name was a "significant and historic moment" but still only a step. "There are many more, ahead of us. The backlash to the change is already evident." The author Jacqueline Woodson, known for award-winning books including Brown Girl Dreaming and Another Brooklyn, will be the first honoree of the newly named Children's Literature Legacy Award.